These world travelers wanted to document their journey to the altar. We celebrated this theme of discovery with a working compass tipped onto the invitation cover. 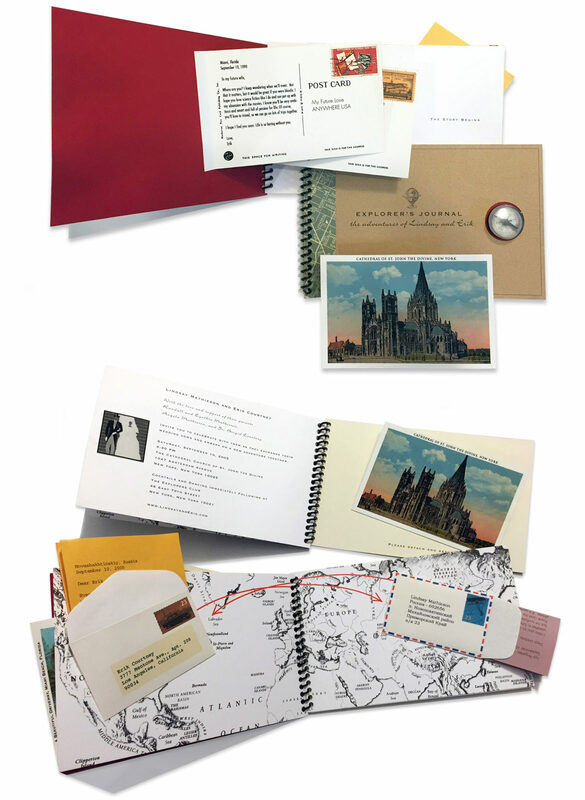 Included in the black spiral binder are postcards from the bride and groom’s home towns to their future mates, love notes from afar and their final destination – the wedding. The New York City subway map serves as a fitting motif for the directions card. The invitation made its way to guests inside a sturdy kraft mailer.